Rettegni jó! Persze csak ha a könyvben történnek borzalmas dolgok. Kiengedjük a feszültséget, elfelejtjük a gondokat, míg minden idegszálunkkal az olvasott rémisztő eseményekre koncentrálunk. Ha szerencsénk van, duplán is örülhetünk, hiszen a legjobb könyvek moziba is bekerülnek előbb-utóbb! Nézzék meg, hátha elkerülte a figyelmüket valami nagyon ígéretes cím! Rendljék meg. vagy jegyezzék elő újdonságainkat. Szemezgessenek kínálatunkból a Librotrade webáruházában, vagy jöjjenek el személyesen a Belváros közepén elhelyezkedő boltunka, Várjuk Önöket szeretettel. Soon to be adapted as a TV series starring Rosamund Pike (Gone Girl)The addictive thriller that will keep you guessingAnnabel's husband Matthew has just died in a plane crash. But was it really an accident or is there more to the story? Marina's boss has asked for her help on one last investigation - an exposé of a huge banking scandal. Shortly after, he is foundmurdered in his home. Two women who have lost so much. Two women with so much more to lose. Two women who will stop at nothing to find out the truth. Par le plus grand des hasards, Hercule Poirot se trouve dans la voiture de l'Orient-Express - ce train de luxe qui traverse l'Europe - ou un crime féroce a été commis. Une des plus difficiles et des plus délicates enquetes commence pour le fameuxdétective belge. Autour de ce cadavre, trop de suspects, trop d'alibis. It's been ten months since Anna Fox last left her home. Ten months during which she has haunted the rooms of her old New York house, lost in her memories, too terrified to step outside.Anna's lifeline to the real world is her window, where she sits, watching her neighbours. When the Russells move in, Anna is instantly drawn to them. A picture-perfect family, they are an echo of the life that was once hers.But one evening, a scream rips across the silence, and Anna witnesses something horrifying. Now she must uncover the truth about what really happened. But if she does, will anyone believe her? And can she even trust herself? Agatha Christie's exotic seaside mystery thriller, reissued with a striking new cover designed to appeal to the latest generation of Agatha Christie fans and book lovers.It was not unusual to find the beautiful bronzed body of the sun-loving Arlena Stuart stretched out on a beach, face down. Only, on this occasion, there was no sun she had been strangled.Ever since Arlena's arrival at the resort, Hercule Poirot had detected sexual tension in the seaside air. But could this apparent 'crime of passion' have been something more evil and premeditated altogether? A PONS krimisorozatának új tagja, az A Recipe for Murder 13 lebilincselően izgalmas, angol nyelvű bűnügyi történeten keresztül, olvasással tanítja a kezdő (A1) és újrakezdő (A2) szintű nyelvtanulókat, melyhez gyakorlásként az összes krimi anyanyelvűhanganyaga is elérhető. One year ago, there was a party.At the party, someone died.Five teens all played a part and up until now, no one has told the truth.But tonight, the five survivors arrive at an isolated mansion in the hills, expecting to compete in a contest with a $50,000 grand prize. Of coursesome things are too good to be true. They were each so desperate for the prize, they didn't question theodd, rather exclusive invitation until it was too late.Instead, they realize they've been lured together by a person bent on revenge who wants to finally unravel the truth about what actually happened that deadly night, one year ago.Five arrived, but not all can leave. Will the truth set them free?Or will their lies destroy them all? Big girls don't cry... they get even.Postcard perfect Jar Island is home to charming tourist shops, pristine beaches, amazing ocean front homes and three girls quietly plotting revenge.Kat is tired of having people lie to her. One more cruel word from her ex best friend or her secret hook up acting like she doesn't exist will be the last straw. Those two deserve to feel as awful as they've made her feel. But if she tried anything,everyone would suspect her immediately.Lillia is ready to stop pretending her senior year is going to be so great. After what her best friend Rennie got her into this past summer and the way her guy friends are looking at her little sister, she is starting to feel like these friends arenothing but the entitled brats she has always denied they were.Mary has just gotten back to Jar Island after a traumatic event several years ago that still haunts her. She is determined to put it behind her, but when she sees Reeve, she is certain that will only happen when he feels the same pain that his actionscaused her. But she can't get revenge alone.Maybe someone should show them there are consequences to bad behaviour. Coming to ABC TV, the 4-part BBC TV drama, The Cry by Helen FitzGerald brings a parent's worst nightmare to vivid life.Longlisted for the Theakstons Old Peculier Crime Novel of the Year AwardWhen a baby goes missing on a lonely roadside in Australia, it sets off a police investigation that will become a media sensation and dinner-table talk across the world.Lies, rumours and guilt snowball, causing the parents, Joanna and Alistair, to slowly turn against each other.Finally Joanna starts thinking the unthinkable: could the truth be even more terrible than she suspected? 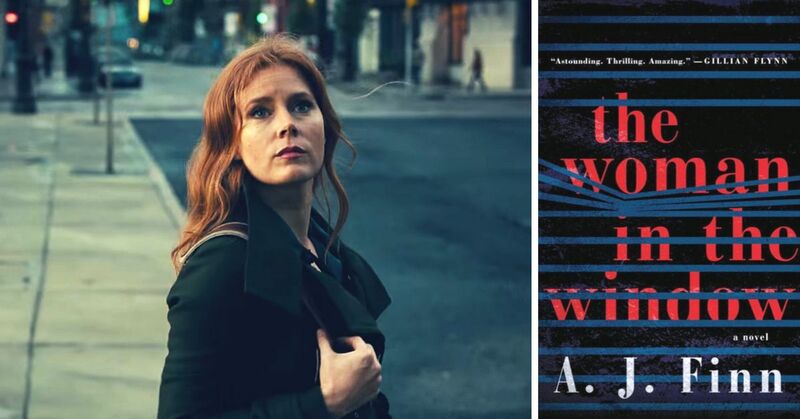 And what will it take to make things right?Perfect for fans of Julia Crouch, Sophie Hannah and Laura Lippman, The Cry was widely acclaimed as one of the best psychological thrillers of the year. There's a gripping moral dilemma at its heart and characters who will keep you guessing on every page. Lisbeth Salander and Mikael Blomkvist have not been in touch for some time.Then Blomkvist is contacted by renowned Swedish scientist Professor Balder. Warned that his life is in danger, but more concerned for his son's well-being, Balder wants Millennium to publish his story - and it is a terrifying one.More interesting to Blomkvist than Balder's world-leading advances in Artificial Intelligence, is his connection with a certain female superhacker.It seems that Salander, like Balder, is a target of ruthless cyber gangsters - and a violent criminal conspiracy that will very soon bring terror to the snowbound streets of Stockholm, to the Millennium team, and to Blomkvist and Salander themselves.The Girl in the Spider's Web is book four in the Millennium series. Book five, The Girl Who Takes an Eye for an Eye, was published in September 2017. On the eve of his college graduation, Harry is called home by his step-mother Alice, to their house on the Maine coast, following the unexpected death of his father. But who really is Alice, his father's much younger second wife? In a brilliant splitnarrative, Peter Swanson teases out the stories and damage that lie in her past. And as her story entwines with Harry's in the present, things grow increasingly dark and threatening - will Harry be able to see any of it clearly through his own confusedfeelings? Senki sem az akinek látszik. Mindenkinek van egy titka. Különösen azoknak, akik a legközelebb állnak hozzád. Sophia szülei csendes, hétköznapi életet élnek. Látszólag. Egy nap, amikor hazalátogat a szülői házba, hátborzongatóan nyugodt csend fogadja. Nemcsoda. Anyja egy fára van felaksztva, míg apja éppen elvérzik a medencében. A rendőrség az ügyet gyilkosság-öngyilkosságnak könyvelte el. De Sophia biztos benne, hogy az a nő, aki felnevelte nem gyilkos. Míg apja kómában fekszik Sophia dolga, hogytisztára mossa édesanyja nevét. Hogy ezt megtegye nagyon mélyen bele kell ásnia magát a család múltjába. Egy múltba, mely telis tele van sötét titkokkal, melyekre álmában sem gondolt volna.No-one is who you think they areSophia's parents lead quiet, unremarkable lives. At least that is what she's always believed.Everyone has secretsUntil the day she arrives at her childhood home to find a house ringing with silence. Her mother is hanging from a tree. Her father is lying in a pool of his own blood, near to death.Especially those closest to youThe police are convinced it is an attempted murder-suicide. But Sophia is sure that the woman who brought her up isn't a killer. As her father is too ill to talk it is up to Sophia to clear her mother's name. And to do this she needs to delve deep intoher family's past - a past full of dark secrets she never suspected were there . . .
Valamikor a veszély bévül leselkedik...Panic Room, azaz a Pánik szoba - nem a Jodie Foster film - Goddard egyik legsikeresebb idegtépő angol thrillere. Titkok, féligazságok és hazugságok övezik a cornwalli sziklákon fekvő hatalmas házat, mely látszólag lakatlan.A ház úgy tűnik lakatlan, de egy fiatal nő - ahogy Goldie Hawn a Jöttem, láttam, beköltöztem (Housesitter) c. amerikai vígjátékban - mintegy önkényes házfoglalókén birtokba veszi a házat. A nő titokzatos és kétséges múlttal rendelkezik.Az óriási, magányos háznak van egy pánikszobája. Vízhatlan, ravaszul elrejtett, acélpántokkal megerősített bejárattal - kétségtelenül elzárva a házon belül a kíváncsi szemek elől.De ki is valójában Blake kisasszony? Jogos a kérdés, hiszen, amikor idegen emberek kezdik keresni a ház valódi tulajdonosát a szélhámos gyógyszeripari vállalkozó Jack Harkness-t, a fiatal nő nem tud, vagy nem is akar válaszolni a feltett kérdésekre...Ebben a lebilincselő angol krimiben minden megtalálható, ami egy regényt izgalmassá és letehetetlenné teszi.A brilliant crime story from Robert GoddardSometimes the danger is on the inside . . .High on a Cornish cliff sits a vast uninhabited mansion. Uninhabited except for Blake, a young woman of dubious background, secretive and alone, currently acting as housesitter.The house has a panic room. Cunningly concealed, steel lined, impregnable - and apparently closed from within. Even Blake doesn't know it's there. She's too busy being on the run from life, from a story she thinks she's escaped.But her remote existence is going to be invaded when people come looking for the house's owner, missing rogue pharma entrepreneur, Jack Harkness. Suddenly the whole world wants to know where his money has gone. Soon people are going to come knocking onthe door, people with motives and secrets of their own, who will be asking Blake the sort of questions she can't - or won't - want to answer.And will the panic room ever give up its secrets?PANIC ROOM is Robert Goddard at his nerve-shredding best. A sliver of a mystery kicks off a juggernaut of a thriller. Layers of secrets, half truths and lies must be peeled back to reveal what really lies within. Perfect husband. Perfect father. Perfect liar?Do you really know who you kissed goodbye this morning?The New York Times bestselling thriller that everyone is talking about`You won't be able to put it down!' Shari Lapena, author of THE COUPLE NEXT DOOR`Heart-poundingly suspenseful' J. P. Delaney, author of THE GIRL BEFORE`An immensely satisfying story with serpentine twists and turns . . . ingenious and compelling' Daily MailYou get to work. Make a coffee. Turn on your computer.Your task: break into a Russian criminal's laptop and find proof that he's concealing five deep-cover agents - seemingly normal people living in plain sight.You're in. Five faces stare back at you.One of them is your husband. James Patterson sokkoló tényfeltáró riport-könyve az amerikai futball egyik csillagáról, Aaron Hernandezről. Mint egy üstökös tűnt fel Hernandez az amerikai futtball történetében, s amilyen gyorsan felemelkedett, olyan gyorsan el is bukott. Hernandezt, -akárcsak egykor O.J. Simpsont - gyilkosság vádjával állították bíróság elé, de Hernandez nem úszta meg a börtönt. Idő előtt meghalt a szupersztár. Ebben a lebilincselő műben Patterson a regényeiből már megszokott alapossággal tárja fel valóságot AaronHerandez életéről.Ripped from the headlines . . . Combining in-depth, investigative reporting and fresh interviews, the authors effectively tabloid-proof this shocking, celebrity-driven story by lining up the facts and labeling rumors. --USA TodayAaron Hernandez was a college All-American who became the youngest player in the NFL and later reached the Super Bowl. His every move as a tight end with the New England Patriots played out the headlines, yet he led a secret life--one that ended in amaximum-security prison. What drove him to go so wrong, so fast?Between the summers of 2012 and 2013, not long after Hernandez made his first Pro Bowl, he was linked to a series of violent incidents culminating in the death of Odin Lloyd, a semi-pro football player who dated the sister of Hernandez's fiancée,Shayanna Jenkins.He had it all. A $40 million NFL contract. Fame. Adoration.Until he was convicted of murder, and jailed for life without parole.A true story told by the master of crime fiction, All-American Murder is the tale of Aaron Hernandez, once the NFL's youngest player, a star for the New England Patriots, and a Super Bowl veteran. His every move played out in the headlines, and yet heled a secret life - one that ended in a maximum-security prison. What drove him to go so wrong, so fast?He'd courted trouble since school, and trouble followed him to the NFL. Between the summers of 2012 and 2013, Hernandez was linked to a series of violent incidents culminating in the death of Odin Lloyd, a semi-pro American football player who dated thesister of Hernandez's fiancée.This explosive account of the rise and fall of a life cut short in the dark shadow of fame, culminating in Hernandez's own untimely death behind bars, is built on original, in-depth reporting. Was Hernandez a victim himself, suffering violence-inducingbrain damage from the sport that meant everything to him - or was he just a heartless killer?